If it is time to stamp your individuality on this parenting business or just add a touch of sophistication to your everyday routine then MamaMats is here to save you from the mundane. 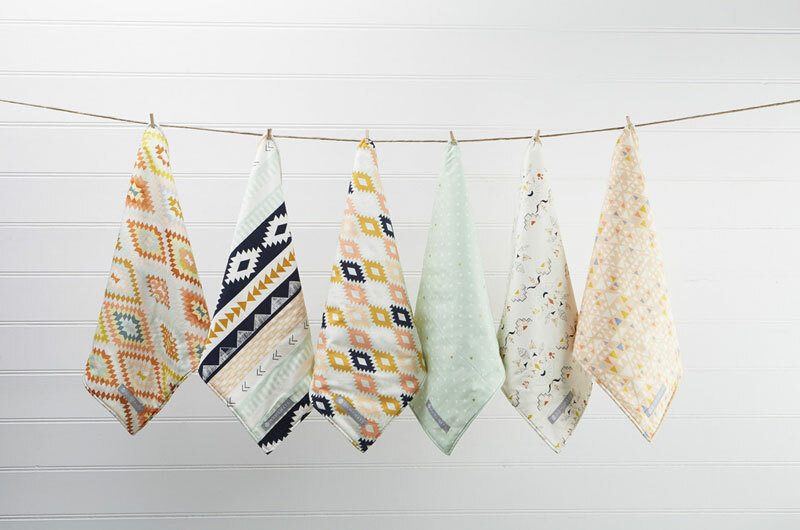 Simple and practical change mats and playmats have been made sans buttons or velcro for easy folding or rolling, while limited edition fabrics in every style and pattern imaginable take them to a whole new designer level. MamaMats are made in Melbourne, ensuring only the best quality. The change mats measure a generous 52x60cm and come with cotton batting for padding and a waterproof white PUL interior so it can be wiped clean and machine washed. There are currently more than 25 designs and they are constantly being updated. They cost a very reasonable $33 and will make you the envy of the parents room when you are out and about and need a quick nappy change. 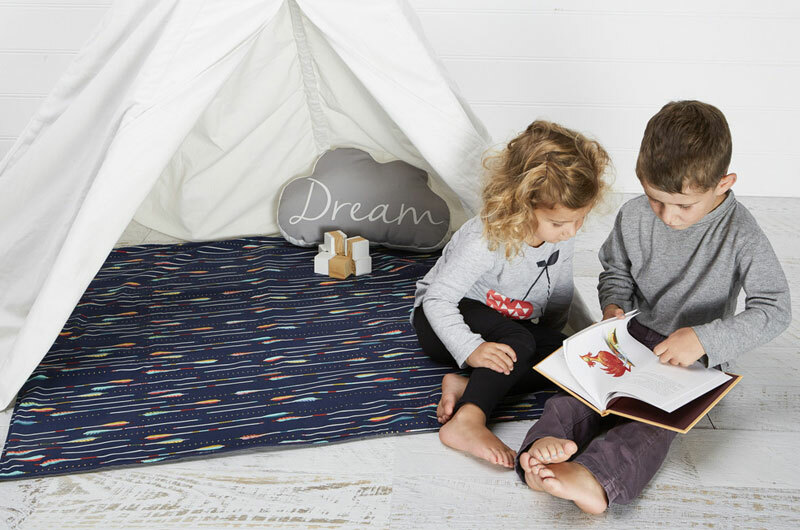 There are five designs so far in the play mats, providing the perfect place to get down on the floor and play, all while matching your home’s decor. The Aztec Peach is my favourite (pictured at top) but the Navy Gold Arrow is also pretty amazing. The play mats measure 1x1m and are made up of three layers; quality cotton fabric on top, cotton batting inside for comfortable playing and heavy grey duck cotton canvas on the bottom layer for durability. They can be machine washed on a gentle cycle and cost $85. 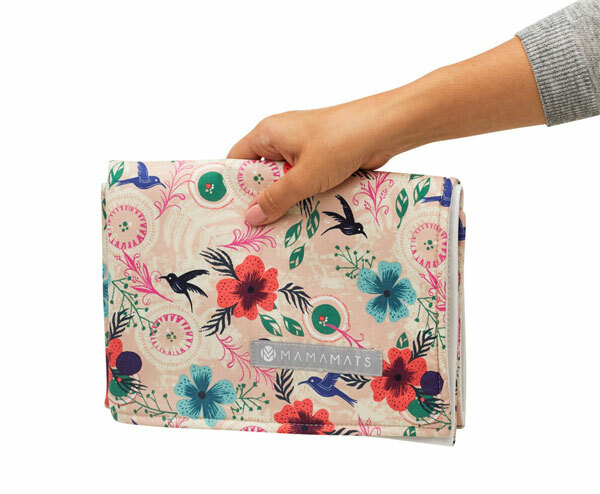 MamaMats full selection of artisan designed change mats and playmats can be found at their online store. Shipping is available throughout Australia for less than $10.